In the course of the later middle ages, embroiderers in England produced some of the masterpieces of the age. Incredibly detailed and painstakingly created their work was sumptuous and expensive. 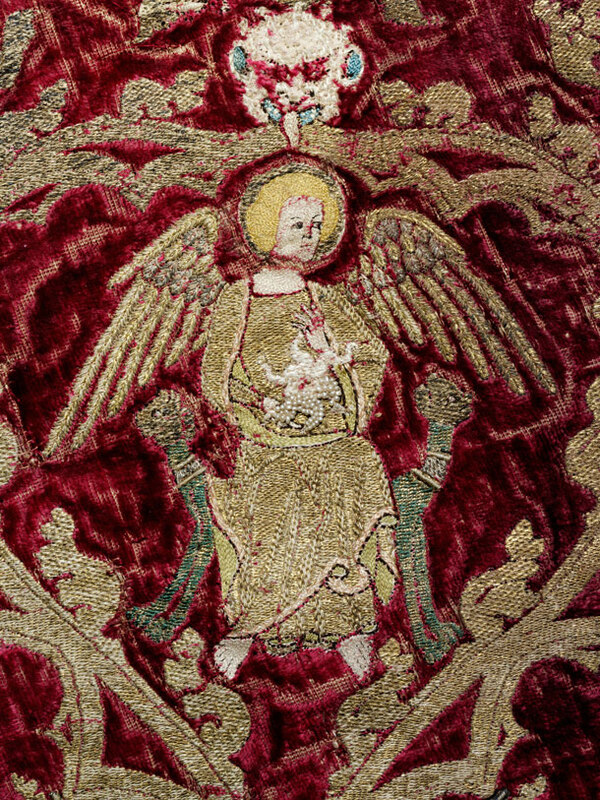 Often created as church vestments and commissioned by both ecclesiastical and secular patrons, the base textiles were embellished with gold and silver thread, a myriad of coloured silks, pearls and jewels. In advance of an exhibition devoted to this subject matter, and due to open at the Victoria and Albert Museum in 2016, the BAA Study Day will examine some of the surviving treasures of Opus Anglicanum in store and on display at the Museum. The day will begin at The Clothworkers Centre for the Study and Conservation of Textiles and Fashion at Blythe House (Kensington Olympia) and will continue in the Medieval and Renaissance Galleries at South Kensington. The cost of the day will be £20 for members. The event is free for students, for whom travel grants (to a maximum of £50) are also available. Places are limited to 20, of which up to 10 are reserved for students. To apply please e-mail Lloyd de Beer – ldebeer@thebritishmuseum.ac.uk – by Thursday 12th November – either enclosing a cheque for £20 payable to the ‘British Archaeological Association’ or stating that you are a student. In the event that a greater number of applications are received than there are places available a ballot will be held. Successful candidates will be contacted by email on Monday 16th November. This entry was posted in Excursions and tagged British Archaeological Association, Embroidery, material culture, Textiles, Vestments on October 26, 2015 by James Alexander Cameron.